Washington, Jan 15 (IANS) Raj Shah, an Indian American spokesman in the White House Press Office, has left President Donald Trump’s administration and joined an arm of a Florida-based lobbying firm, officials said. Shah, a former researcher at the Republican National Committee, will lead the Media Group, the press wing of Ballard Partners, a lobbying firm with offices in Florida and Washington, The New York Times quoted the officials as saying on Monday. He will work with Jamie Rubin, a Democrat who was a spokesman for Madeleine Albright, the former Secretary of State. 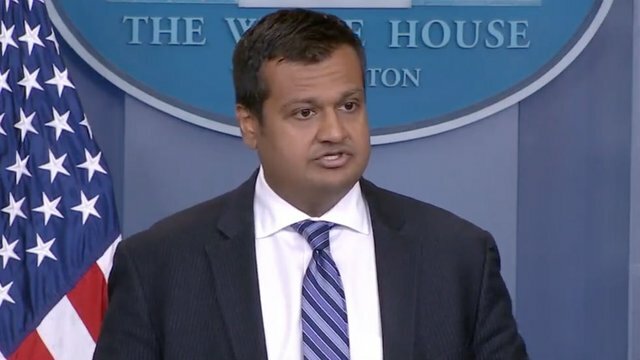 Shah served in the Trump White House beginning in January 2017 as Deputy Assistant to the President, Deputy Communications Director and Deputy Press Secretary. His portfolio recently included helping prepare Justice Brett M. Kavanaugh for his Senate confirmation hearings to the Supreme Court. His departure comes as the White House press and communications teams have been depleted. Several aides have moved on to roles at government agencies or have left the administration entirely.